Since the publication of War Beneath the Sea: Submarine Conflict During World War II in 1996 it has become the standard text on submarine warfare in World War Two and a must have in any World War Two historian or general naval historian. The position this book has seized has more to say about a dearth of books that deal in depth and scope with that aspect of warfare then the excellence of this book. Which is not to say that War Beneath the Sea in not a good book; it is, but it does have some flaws. In scope and depth this book is impressive. It covers in great detail the submarine operation of Germany, Britain, Japan and America. Padfield give rather short shrift to the Italian Submarine forces operations. Padfield draws on his vast knowledge of the German Kriegsmarine and how Grand Admiral Donitz absolutely dominated U-boat operations. Padfield deals with how morale was maintained under the horrible conditions of the submarines of the time, not to mention in the face of rising causalities. The writing is clear and concise and the narration is nicely organized both chronologically and by operational area. 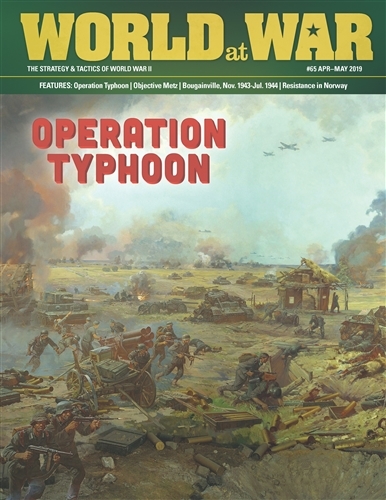 He also delivers detailed stories of convoy battles and submarines individual actions as well. It is here that the book becomes almost more than the reader can bear. While the stories are well drawn and interesting, Padfield is unrelenting in his retelling of the death of submariners. The brave men on both sides die by drowning, by fire, by suffocation, by the crushing depths of the sea. Padfield can be credited with taking no sides in this book, he is critical in his analyses and evaluations of all the major combatants submarine operations. His descriptions of the features and shortcomings of the major weapon systems are uncompromising. It is fair to say that the book is not perfect. Although mind boggling complete in its depth. It is more of a synthesis of already existing ideas and information and doesn’t even try to break new ground in either description or evaluation of the submarine and its role in World War Two naval warfare, both tactically and strategically. The book has a comprehensive chronology in the back. Also extensive notes and references are included. Hunted Cow’s Russian Front is an engaging and involving operational-level wargame set in World War Two in the East. It joins the recent spate of wargames by other companies set in the same theater, such as Battle Academy Two and Lock N’ Load’s: Heroes of Stalingrad, as well as Hunted Cow’s own series of Eastern Front tactical games. Russian Front is one of those games that will have the player wanting just … one … more … turn. In 1942 both Germany and Japan were suffering from serious cases of “victory disease.” Victory disease: “threatens any nation with a history of military prowess and manifests itself in three basic symptoms: arrogance, a sense of complacency and a habit of using established patterns to fight. . .” In Japan Victory disease manifested itself by the thought that the Empire could strike anywhere and do anything and also by the thought that Japan’s victories were the result of Nipponese inherent superiority over the decadent Europeans and Americans. Germany also caught the victory disease which was reinforced by the nasty racial ideology of the Nazis, led them to invade the Soviet Union while Britain still resisted in the West and in Africa. However by 1942 German, unlike Japan, had two reasons to not be so arrogant: In 1940 they had been turned back by the British Royal Air Force in the Battle of Britain and had barely won a Pyrrhic victory in Crete in May 1941. It doesn’t require much imagination to think of what those 200,000 Germans, many of them fine soldiers would have meant to the defense of Sicily or Italy or France; or had they been deployed to the Eastern Front. 1] Timothy Karcher, Understanding the “Victory Disease,” From the Little Bighorn to Mogadishu and Beyond (Leavenworth, KS; CSI Press, 2003), 1. Gerhard Weinburg, A World At Arms: A Global History of World War II (New York, Cambridge University Press, 2005), 323. Williamson Murray, “Net Assessment in Nazi Germany in the 1930’s” in Calculations Calculations ed. by Allan R. Millett, Williamson Murray, (New York: The Free Press, 1992) 94-95. Joseph N. Mueller, Guadalcanal 1942: the marines strike back (Oxford: Osprey Press, 1992), viii. Samuel W. Mitcham, Jr., Blitzkrieg No Longer: The German Wehrmacht in Battle, 1943, (Mechanicsburg, PA: Stackpole Books, 2010), 85. Dan Van der Vat, The Atlantic Campaign: World War II’s Great Struggle at Sea (New York: Harper and Row, Inc. 1988) 266-267. Winston Churchill, Memoirs of the Second World War: an abridgement of the six volumes of the Second World War (New York Houghton Mifflin, Inc, 1959) 410. Richard Overy, Why the Allies Won (New York: W. W. Norton and Co., Inc., 1996) 54-56. Gerhard Weinburg, A World At Arms: A Global History of World War II (New York, Cambridge University Press, 2005), 381.